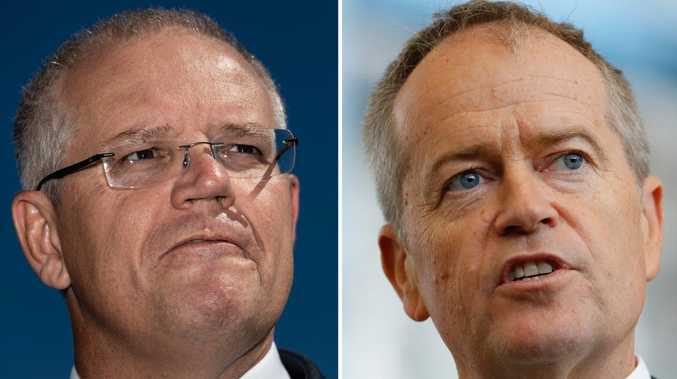 A STATE of emergency has been declared for parts of the Northern Territory as residents in the firing line of Cyclone Trevor are evacuated. Borroloola, Ngukrr, Urapunga residents are now being evacuated alongside residents from Numbulwar and Groote Eylandt who began evacuating yesterday. Groote Eylandt residents will be taken to Darwin and housed in emergency shelters - Foskey Pavilion and Marrara Stadium. Borroloola, Ngukrr, Urapunga and Numbulwar residents will be bussed to Katherine. Chief Minister Michael Gunner said it was critical "that you take it seriously and it is critical that you listen to every update." "What is being undertaken is prior to (one of the biggest) cyclones we have seen in the Territory's history," he said. "The severity of the storm the significant threat it poses as well as the complications that come with the remoteness of the area led to the decision to commence evacuations in the area yesterday. "It is being well planned carefully managed and calmly managed." Member for Arnhem Selena Uibo said the evacuation was "an operation of preservation of life". She said the entire community of Umbakumba, on Groote Eylandt would be evacuated - power will be shut off from the area today. "Umbakumba is being cleared out completely the last vehicle will go out today I understand," she said. The cyclone is estimated to be 65km southwest of Weipa and 550km east of Alyangula. The system has sustained winds near the centre of 65km/h with wind gusts to 95km/h. Cyclone Trevor is currently a Category 1 but is expected to intensity to a Category 3 within the next six hours, according to the latest Bureau of Meteorology advice. 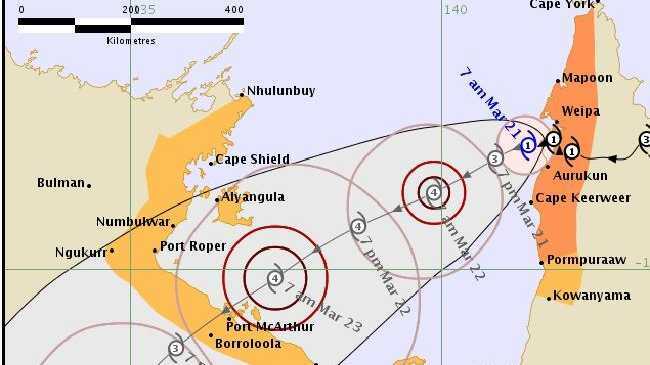 The latest advice predicts the cyclone will, "intensify further as it adopts a more general west-southwest movement across the Gulf of Carpentaria on Thursday and Friday." "It is likely to cross the Northern Territory coast during Saturday as a Category 4 severe tropical cyclone."